This is one of the best viogniers we’ve tasted in a long time! 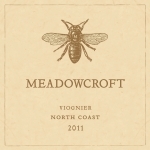 Fresh tropical fruit, peach, pear, honeysuckle and fresh meadow (after a rain) aromas belt you in the nose. This wine has wonderful character – spicy, feisty, zesty and a palate you wish would never end. If you want to taste what a true viognier should taste like, buy this! 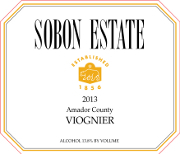 Hey, a viognier that actually smells and tastes like a viognier (and not chardonnay)! Pretty tropical fruit, citrus, peach, mango, apricot wrapped in floral spices and a hint of oak. Fruit-forward on the palate, this is a well-balanced wine with a nice, long finish. A beautifully-balanced, superb fruit-forward wine, with tropical, stone citrus fruit flavors complemented by floral elements and light flint. On the palate, this is a crisp, clean, fruit-filled wine ending with a nice, long lingering finish.